With over two months to go until the IDTechEx Show! at the Santa Clara Convention Center on November 15 - 16, over 90% of the exhibit space is already sold. The event brings together the hottest emerging technologies including materials, components and systems with end users, who seek to use these technologies to differentiate their products through greater capability. This results in an exhibition which covers a diverse range of new technologies including those enabling flexible electronics, stretchable electronics and distributed electronics through to more wireless communication options, light weighting and the greater electrification of things - including vehicles - and automation. Specific technologies shown on the exhibition floor include 3D printing, electric vehicles, energy storage innovations, energy harvesting, IoT, printed electronics, sensors, wearable technologies and advanced functional materials including graphene. 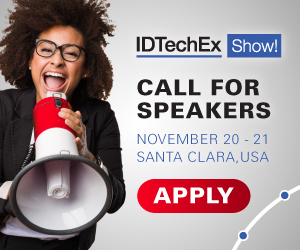 Chris Clare, Event Director at IDTechEx, says, "This event is unique in covering all the most significant new technologies along with their potential user industries in one location. Those in healthcare, consumer electronics, automotive and aerospace, infrastructure, media, military and consumer goods can assess the huge new technology capabilities that are becoming or just have become available, while those making materials, components and solutions can meet with different end user segments to assess their needs and drivers." Over 250 exhibitors will engage with over 3000 attendees at this event in the heart of silicon valley on November 15 & 16, featuring over 220 speakers, manufacturing, demo and start-up zones, extensive networking opportunities, tours to local world leading organizations and much more. The image shows the demographics of attendees in 2016, highlighting the premium level of those attending. For details about the event see www.idtechex.com/usa. Raghu Das, CEO of IDTechEx, reports, "In part the rapid take-up of exhibition space is due to the high number of repeat bookings based on the return on investment companies that have exhibited with us have found." Don't lose this opportunity to meet customers, do business and build your brand in front of over 3,500 executives including over 70 media outlets that will be attending; for exhibition and sponsorship enquiries contact exhibit@idtechex.com or call +1 617 577 7810. View the list of exhibitors, see the attendee profile and more at http://www.idtechex.com/usa2017/show/en/why-exhibit.